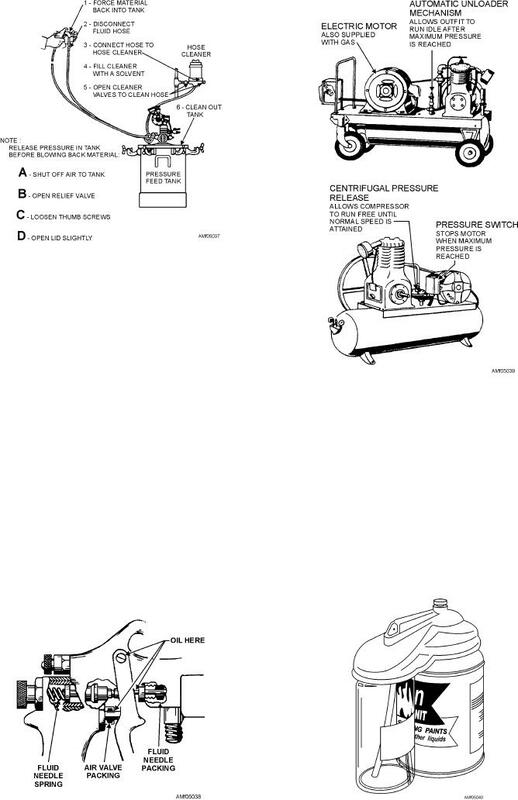 Figure 5-37.--Cleaning pressure-feed spray gun. Figure 5-36.--Faulty spray patterns and how to correct them. Figure 5-41.--Correct and incorrect methods of spraying. the hose and run thinner or suitable solvent through it. compressors--a portable unit and a stationary unit. packings and cause the gun to have an unsteady spray. release, pressure switch, and mounting feet. manufacturer's instructions. See figure 5-38. Figure 5-38.--Spray gun lubrication points.